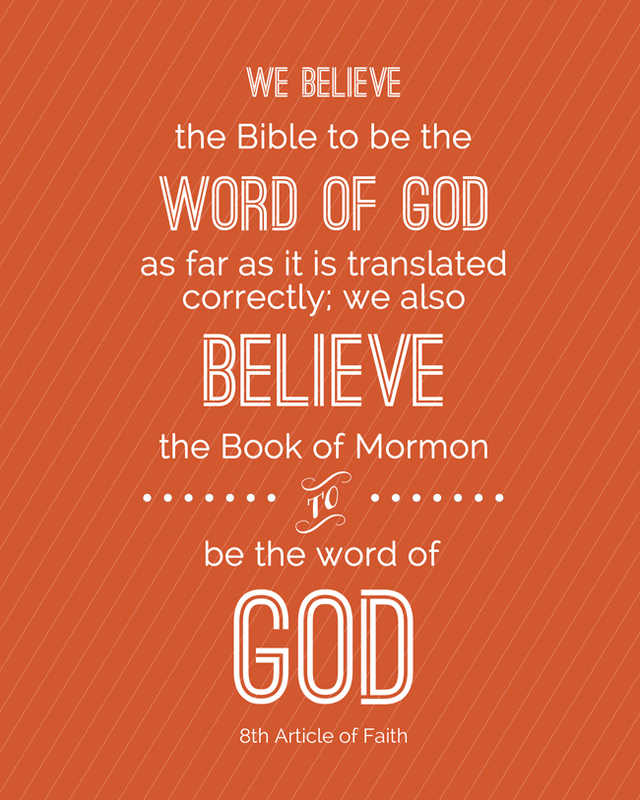 I’m a member of the Mormon church, and at church my kids are encouraged to learn and memorize scriptures. They are also encouraged to memorize the Articles of Faith, which are 13 verses that sum up the core beliefs of our church. I thought it would be nice to have all 13 verses printed out and displayed in our home to help the kids with memorization. I’ve been working on these printables for a while but I wanted to make sure to get them posted before Christmas because I think they’d make a great Christmas gift – you can print all 13 verses out at Costco (at 8×10) for just under $20. I have a blank wall in my kitchen, so I used washi tape to tape all 13 verses up – and my kids have been reading and reciting them during breakfast each day. If you don’t want to hang them all up at once, you could just display one in a frame, rotating it out for the next one each month. Note: if you use washi tape to hang yours on the wall, just be aware that some washi tape is stickier than others – the less-sticky versions probably won’t hold very well. You could also use short pins to pin them to the wall – just use a thimble or pencil eraser to push the pins into the wall. Please DO NOT redistribute these or use them for any commercial purposes, as that would be a violation of copyright law. I click through this on Pinterest and here you are!! THANK YOU! Thank you for such a wonderful help. 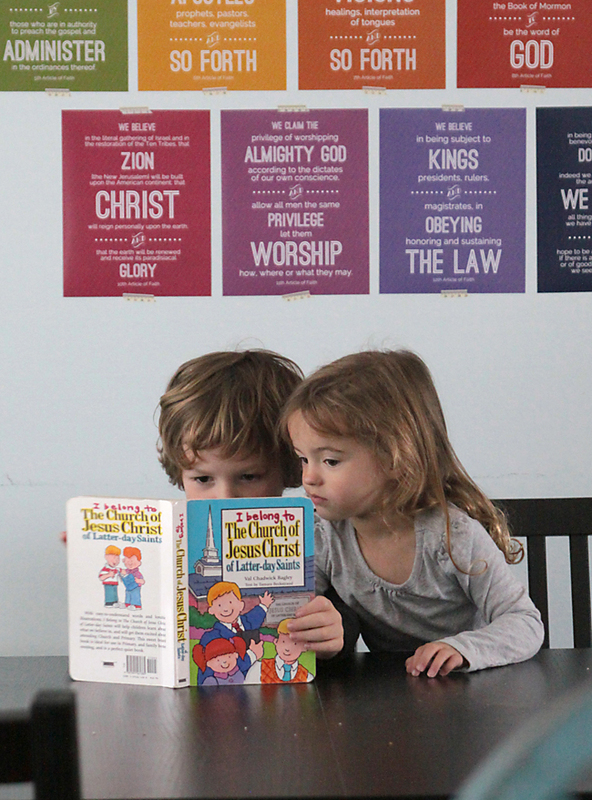 I look forward to helping my grandchildren learn the Article of Faith. You are very talented! Fantastic! I love the font size emphasis you were able to add to certain words. We’ll be using these, Thanks so much for Sharing! I am so excited about this! I think the second one is missing the “for the” in it…? But I definitely want these thank you so much for sharing your testimony thru your talents! Good catch! It’s ridiculous how many times I read over these to make sure nothing was missing – but I know them so well my brain just added in the missing words. I’ll get it fixed ASAP. I’m a.designer too and I do it allll the time! Thanks so much for letting me know, Lyndia. I could have sworn I already fixed that one, but you’re right, it was still showing up with two “by”s in it. Everything is fixed now in the zip file, or you can just download the fixed 2nd or 3rd one. It’s only through Jesus. Not our works, lest anyone should boast. 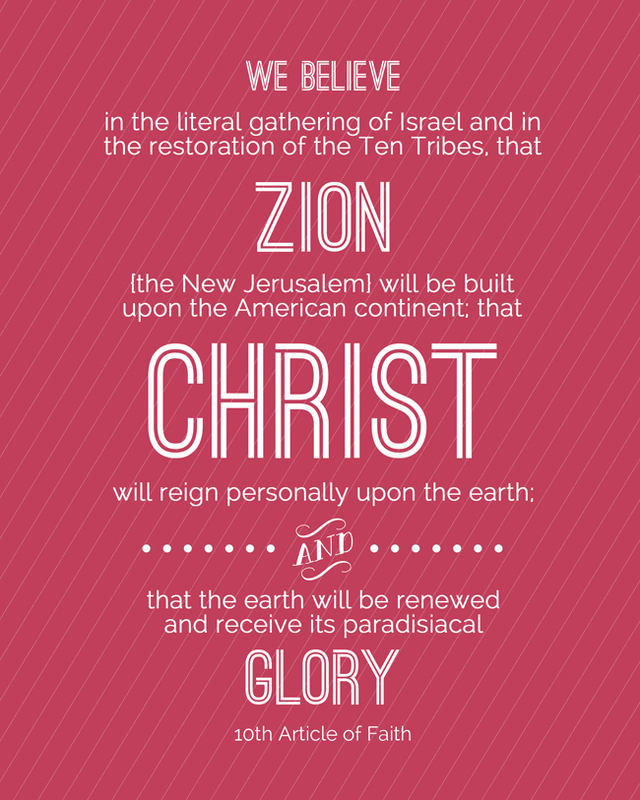 The scripture supports our belief, outlined in the 2nd article of Faith. 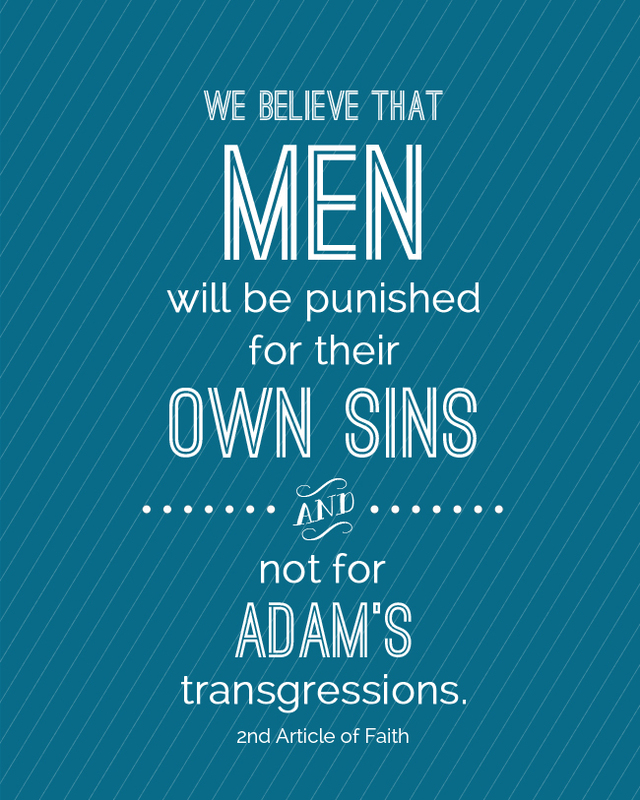 Because of the Atonement of Christ we are subject to no transgressions but our own. Which bring us back to your above statement, Through the Grace of Jesus Christ we live… how well, is decided by our own choosing our “works” as some say. 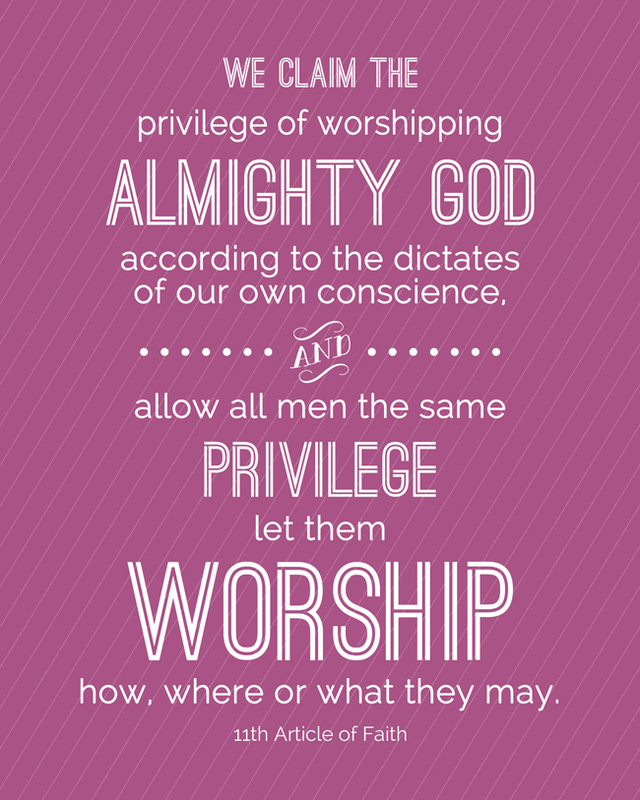 He has atoned for us that we might choose for ourselves…. 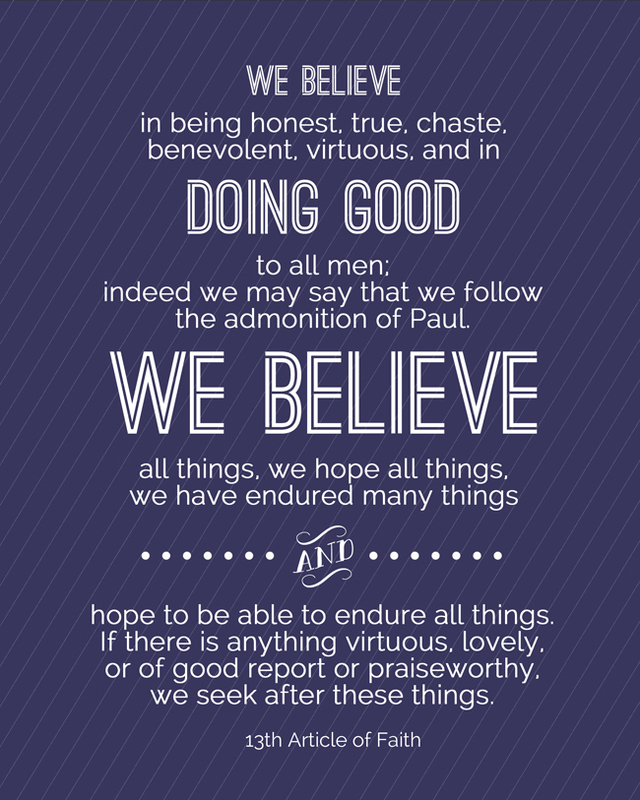 so that means we must also do our part to receive the fullness of his atonement. 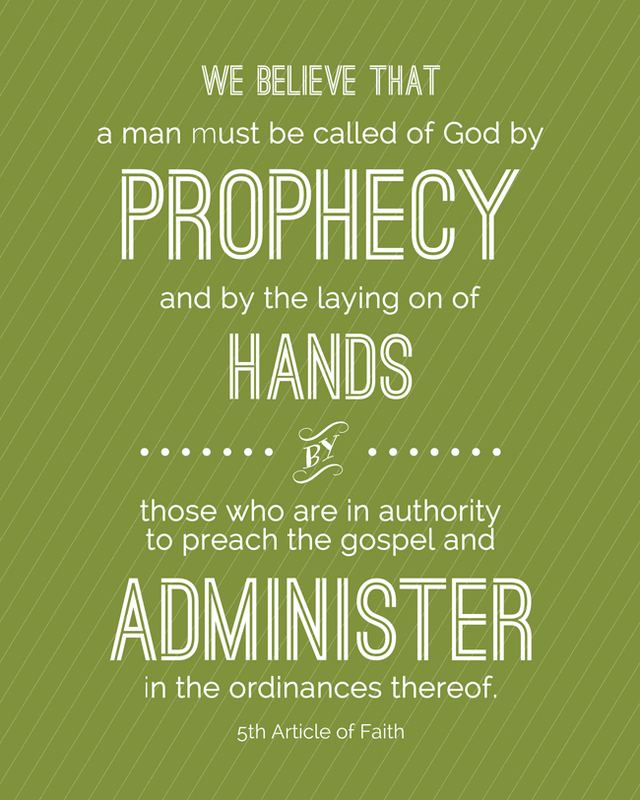 How can the Gospel have ordinances? The whole point of it is to give us hope that the Law could not give– we NEVER can be good enough, never. That’s why we need Jesus, who lived a sinless life and now reigns on high (Phillipians 2). 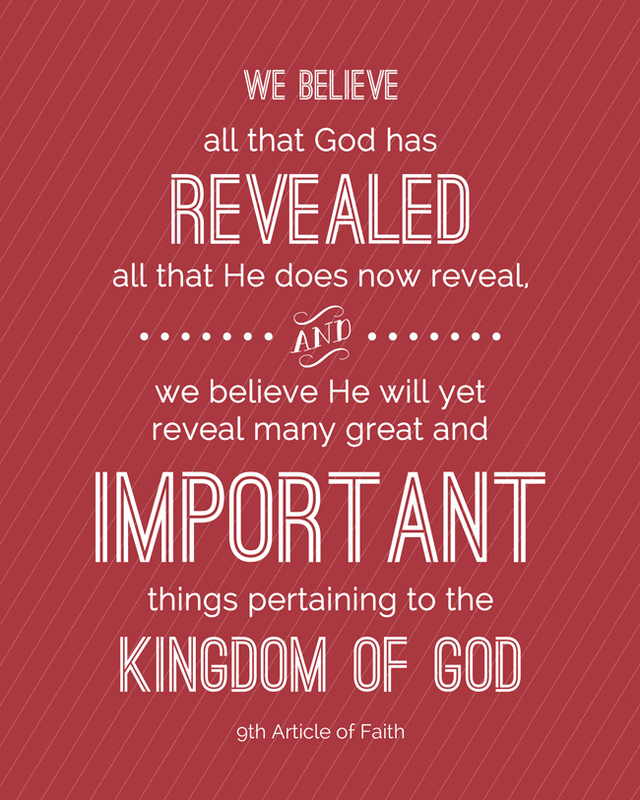 Romans 8 gives the best exposition I can think of on the topic… that and the book of Galatians. 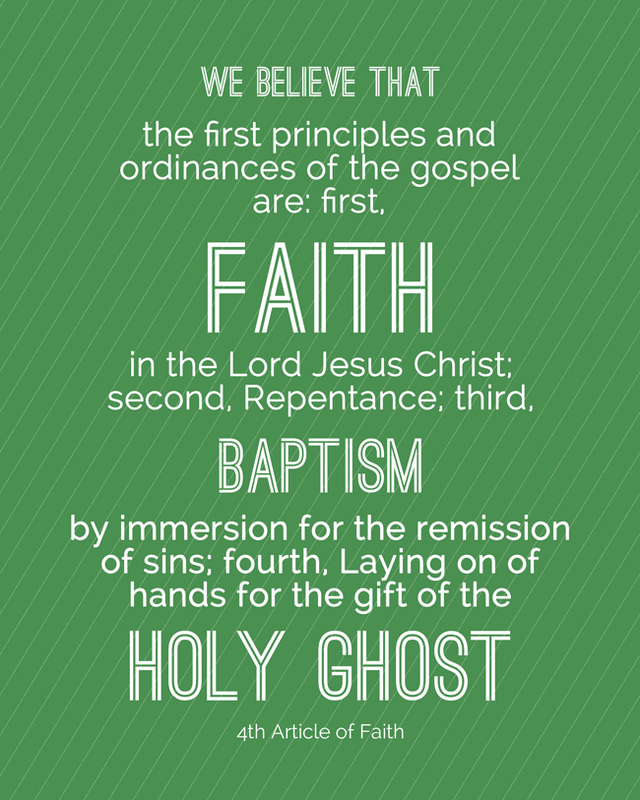 Gospel Ordinances are Covenants. The covenants we make with Christ and with our Father in Heaven for example; Baptism, Confirmation, Sacrament, Endowments, Marriage. 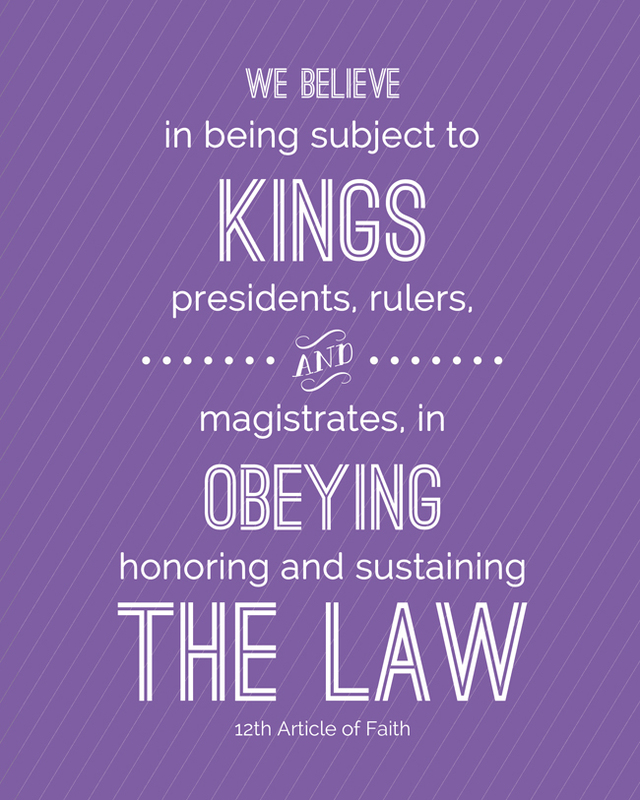 These are all Ordinances when we partake of them we are agreeing to uphold our end of that Promise. 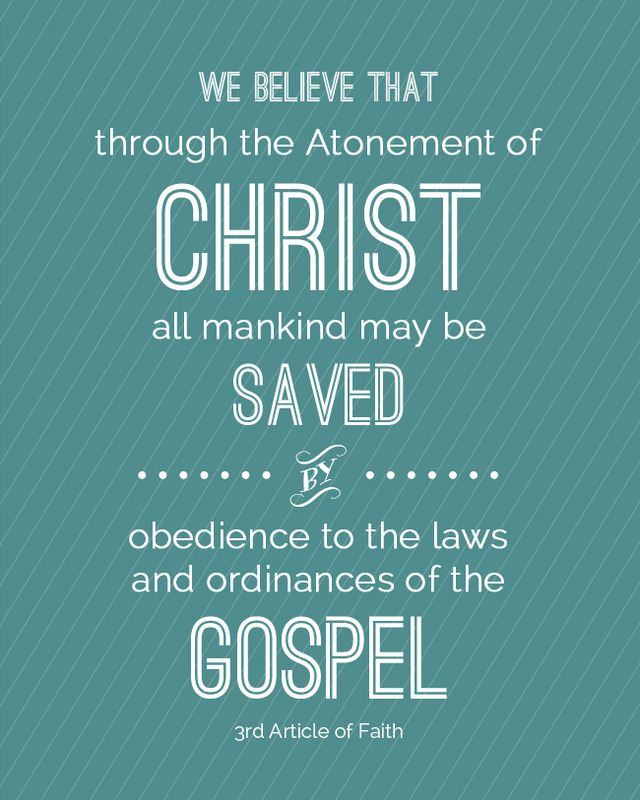 The Gospel does indeed have Ordinances, all given to us by the Savior Jesus Christ. 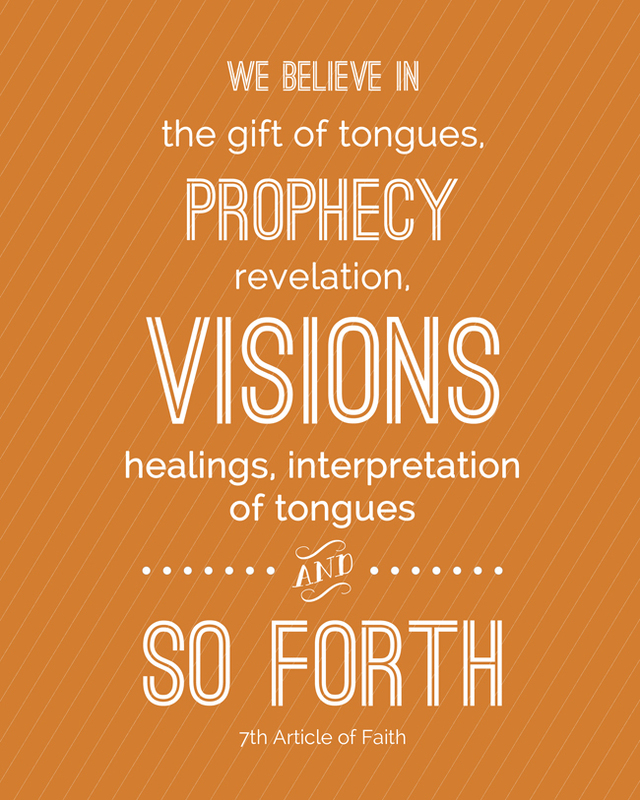 I LOVE these articles of faith printables! Beautiful work…thank you so much for sharing! By far my favorite that I’ve seen! I recently joined the primary presidency and would love to include these in our little flip books that we are making for each primary child as a Christmas gift. They will have the 2014 theme with each monthly theme (including scripture), a copy of the family proclamation, and the articles of faith. We plan to use a binder clip to keep them together for kids to be able to keep in their scripture bag, study during sacrament, etc. I am wondering if there is any way to have your articles of faith printables be printed as 3×4’s (so 2per 4×6 photo, so we could cut in half)?? We have close to 100 kids in our primary & the only way we can afford to include all this awesome stuff is to print 2 “pages” per 4×6 photo! I am very computer illiterate & would not know even where to start…is this something you could do rather simply as an option or for a small fee? Thanks for your reply and sharing your talents! Thank you so, so much. I am giving a set of all and a frame to each family with grands and also using them in Relief Society as a gift idea for Super Saturday. Thanks again! I am going to print these for Primary. Thanks for sharing your talents to bless the lives of others. Thank YOU! thank you so much for sharing!! i AM GOING TO PRINT THEM ALL AND FRAME THEM AND CHANGE THEM MONTHLY!! I think the 2nd Article of Faith has a typo. According to the official LDS website, it should be transgression not transgressions. Good catch! I’ll get that fixed and updated ASAP. Your work is beautiful! Thank you so much for sharing it. I am making Activity Day binders and plan to include these in them. Activity day binders sounds like a great idea – what else do you put in them? I plan on printing these at Costco to hang in my family room. I’m not trying to be a pain because I am really glad you shared this. However, I just checked #2 to be certain it was fixed before I printed it, and it still says, “transgressions.” not “transgression” The zip file has the error as does the “corrected version of the 2nd one HERE.” Did I miss something? Thanks. Ok, Article of Faith #2 is now fixed and can be downloaded on its own. I am re-uploading the entire zip file and it’s taking a few minutes, so it’s not available yet, but it will be soon. Thanks for the reminder! Definitely an answer to a prayer – thanks so much for this service. so nice for sharing. thank you! 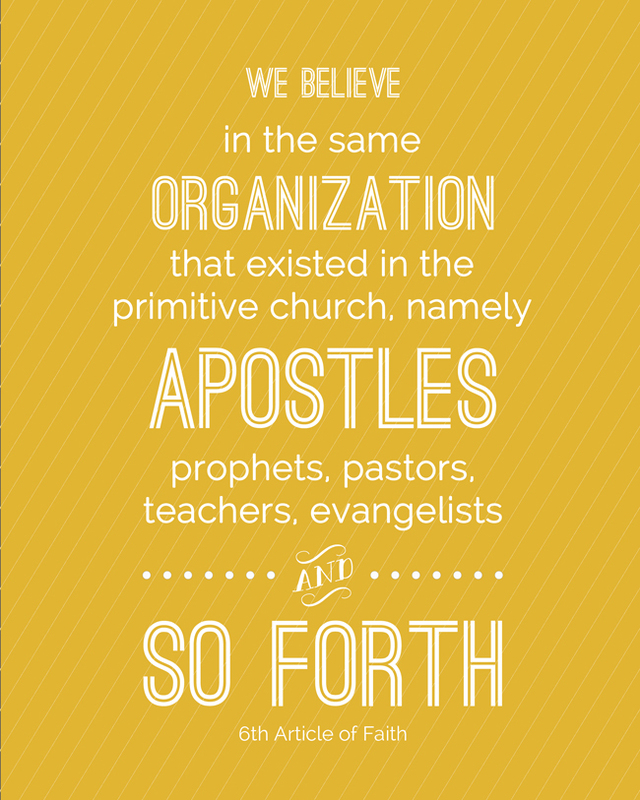 I prepare the program for Sacrament Meeting each week for our ward and wanted to have a section to highlight an Article of Faith for the next few weeks, I found you on pinterest and I’d love to use these beautiful ones you’ve designed, but didn’t want to do that unless you are okay with it. I would never want to violate a copyright! Yes, Annie, you’re welcome to use them for that! As long as you’re not selling them, you’re just fine. Thanks for checking. these are beautiful! i found another set online about 2 years ago and have had them hung up and it has helped tremendously in their learning them! my 3 oldest have them all down!! Thank you so much for sharing these! When I showed my husband the picture of what I was having printed he was so excited! We are anxiously waiting for them to be ready at the printer so we can add this art to my boys room. Thank you!!! I just want to thank you SO MUCH for these wonderful printables! They’re going up on a blank wall (in my dining room, ironically!) that I’ve been debating over for almost a year, lol. Thank you for sharing your work with us! Thank so much!. We will be using your images of the 13 Articles of Faith for our Twitter and Facebook campaign known as the 13 days of Faith. I was looking for uniformly designed images with the A’s of Faith to use on Twitter because of the character limit and your designs are just perfect for the job!. Thank you! They are really pretty. Love them. Can I use them to give a copy to our primary children? Hi! Love these posters. Wondered if I could scale them down to make laminated cards for our Primary children – to give as birthday gifts etc. It would not allow me to do that in Photoshop. Can you help me? Oops! Sorry for the typo. Thank you so much for sharing these and your talents, so kind of you! 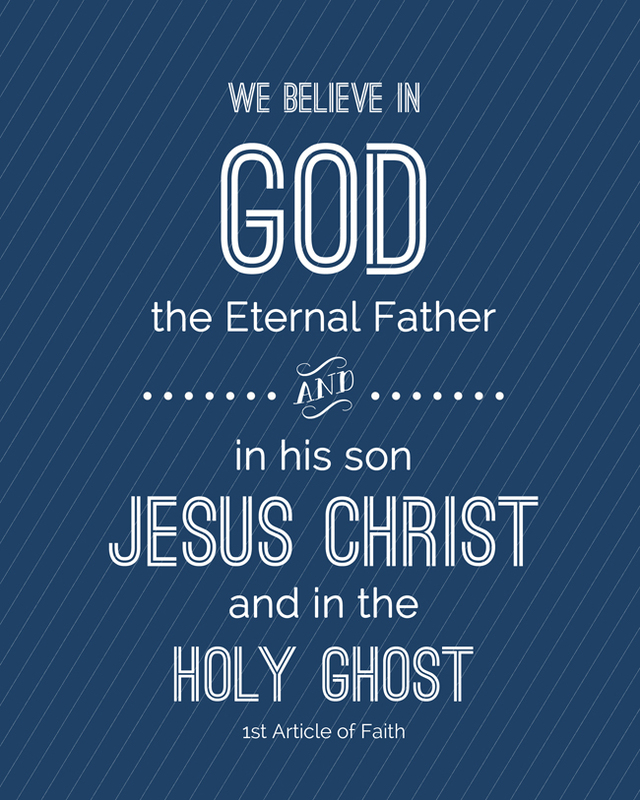 I’m printing them into little booklets for our children turning 8 for the baptism preview. They’re just wonderful, thank you! Thank you for such a gracious offering of your time and talent to help us as grandparents, parents, and Primary teachers, and, ultimately, our young ones. I did the download and was able to print out all of them except 13…It will not even open the 13th article of faith. Any suggestions? I am not very good with tech stuff. 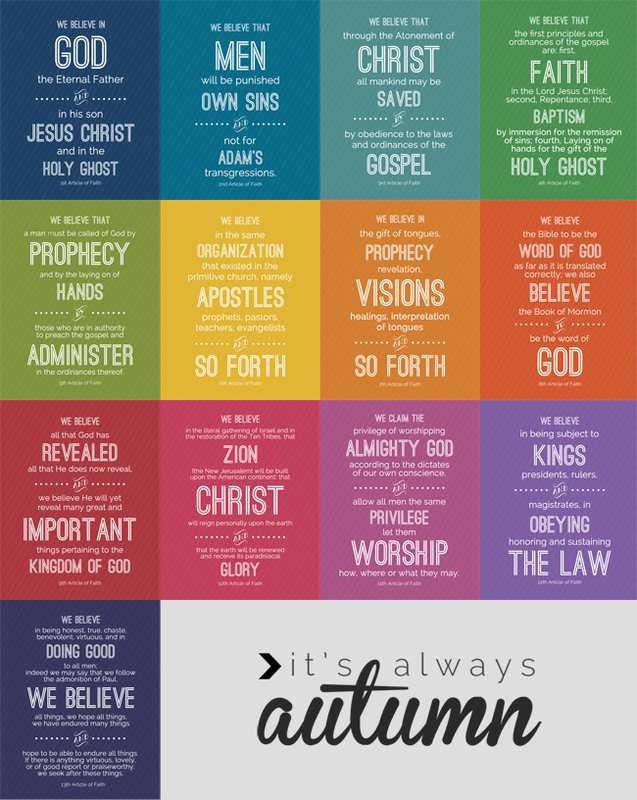 The 13 Articles of Faith in my home – I think I will print these a little smaller and put them in one of those really big multi-picture frames in the guest room. Thank you! I would like to print these out in the 4 x 6 size for my ADG’s. Do you know. If they print out good at that size? I love these, thanks for sharing them. Thanks for this fun printable. I just ordered mine from Costco. I appreciate you sharing your hard work! I have linked this post to a post i have made about an Article of Faith binder for Primary. 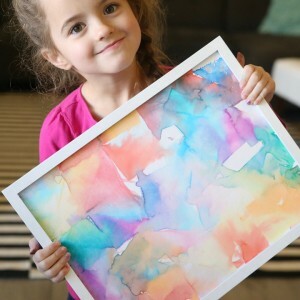 I wanted to be sure that this is fine with you that I share your great printables! 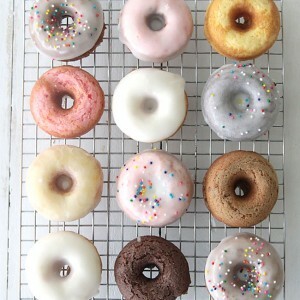 Here is the post: http://singgoodmorning.blogspot.com/2016/06/the-articles-of-faith-binder.html If there are any problems with this, I will take it down immediately. Let me know what you would like me to do! And thank you for providing this great resource!!!! Hi, These are great. Your 2nd Article of Faith still has “trangressions” instead of “transgression.” I took the picture of the individual pages and downloaded them. Thank you for your hard work and sharing these. Thank you so much! I love these and have printed them out to help my family. I really appreciate your sharing your time and talents!!! I get a 403 error when I try to print these. Can you help? Is there another way to download these? I get a 503 error. Thanks! Just came across this printout today and would love these for Activity Days. Im trying to download but it says its forbidden. Are these no longer available? 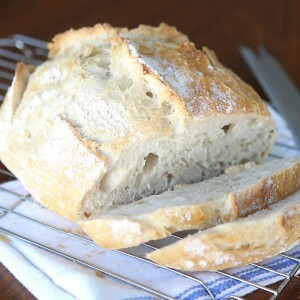 Its just so lovely! I would love to print these for our primary! However, whenever I click on the download link it says “403 error”. How can I access these? Thank you! The link to the zip file for the Articles of Faith posters gives me an error message. It no longer works. Would you mind emailing me the zip file – or could you fix the link? Thank you for sharing your talent so freely. 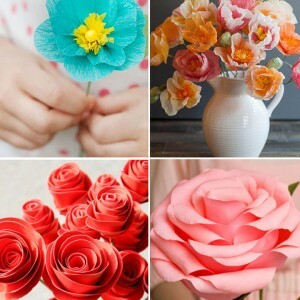 I love your site and all the fun ideas. Many thanks, these are beautiful! I used the wayback machine to get it. Hi! I love these and am so excited to use these for my kiddos. Every time I click on the link it says it is forbidden. Is there anyway I can get a new link to download these? Thank you so so so much for sharing your beautiful talent with all of us! I would love to use these beautiful prints in primary this year. The zip file is not accessible. Would you mind updating it? Thank you! Hey Brad! Any way you could send them to me? I can’t get them to work either. [email protected]. We just changed buildings last Sunday and I am desperately trying to get stuff up before next Sunday. I was trying to download these article of faith posters, but when I click on the zip file, it says forbidden. Are you able to email me the files or send as a pdf? I would love to use these as well. I tried the wayback machine but that didn’t work for me either. Your work is amazing. If there is any way to get the file for these I would greatly appreciate it.